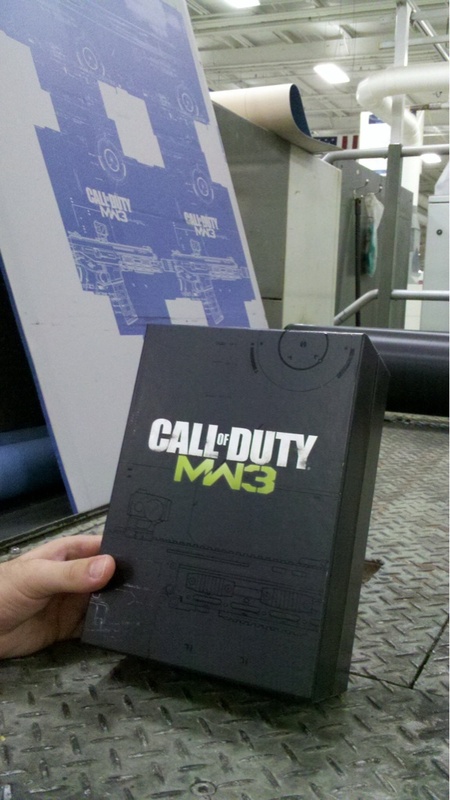 Fans are going to have to wait until September to find out what's in the MW3 Hardened edition. Robert Bowling, the creative strategist for Modern Warfare developer Infinity Ward, has revealed that there will be a "Hardened" collector's edition of Modern Warfare 3, but he isn't going to say what's for another few weeks. Bowling revealed the Hardened edition on Twitter, saying that he was literally on the factory line. His tweet included a picture of the game's box, with printing equipment behind it. He went on to say that fans would learn more about the Hardened edition at Call of Duty XP, the recently announced Call of Duty convention, which takes place in early September. The Hardened versions of previous Call of Duty games have included Steelbook cases for the game, exclusive downloadable content, and in the case of Modern Warfare 2, an HD copy of the original Call of Duty. It's not outside the realms of possibility that Activision and Infinity Ward might include Call of Duty 2 this time around, however it's still being sold on Xbox Live for $30, so they might decide to offer something else as an incentive instead.